These sunflowers are seriously going to make my cry when they all finally die. There's a huge patch of them that are looking pretty dreary, and nearly all of them are beginning to be weighed down by their delicious seeds. 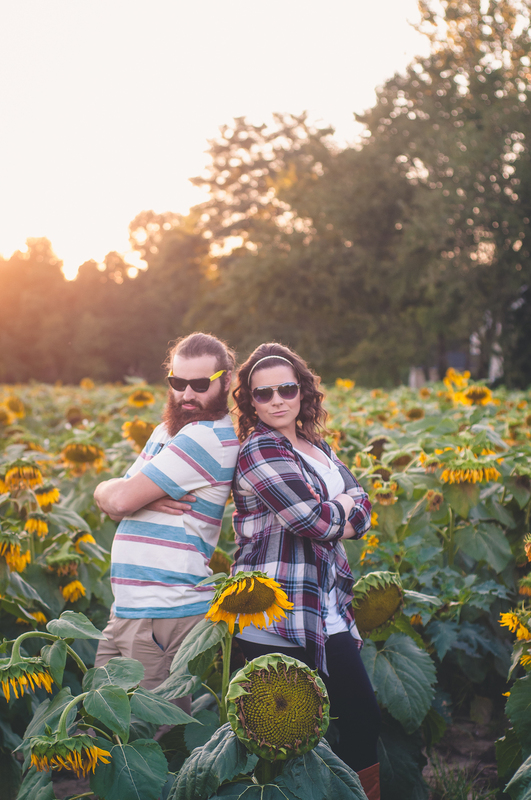 Cait and Steve didn't let that deter their enthusiasm during their minisession in the flowers, though! The sunlight was perfectly golden, there was plenty of jokes and laughter to go around, and best of all? Plenty of love. Check out the images below, and be on the look-out for their housewarming photoshoot later this week!